• Jermar Hines, 43, of 355 Fisher St., South Williamsport; the county’s Narcotics Enforcement Unit; possession with intent to deliver cocaine at Arch Street and Reach Road in the city, and convicted felon not to possess a firearm and possession of cocaine as a result of drugs, a handgun and a rifle all found in his home, where a search warrant was executed following the incident in the city on Jan. 9; jailed in lieu of $150,000 bail. • Brett Nichols, 24, and his mother, Crystal Nichols, 45, both of 113 S. Main St., Muncy; Muncy police; simple assault and endangering the welfare of a child for allegedly assaulting Brett’s girlfriend, Celina Boyer, while she was holding the couple’s infant son during a disturbance at the house on Jan. 5; Brett Nichols faces an additional charge of strangulation; both he and his mother were jailed in lieu of $25,000 bail. • Robin Bilbay, 41, of 719 Broad St., Montoursville; city police; obstructing the administration of law, resisting arrest and disorderly conduct following an incident at police headquarters where she allegedly interfered with officers as they were placing a juvenile relative in a vehicle on Dec. 30; released on $5,000 bail. • Fareed Ibrahim, 27, of 688 Seventh Ave.; city police; simple assault and harassment for allegedly punching his wife, Natalie in the arm and telling her “I will crush your skull on the sidewalk” during disturbance at the couple’s home on Dec. 11; released on $10,000 bail. • Sheena Eiswerth, 33, of 2159 Mosser Ave.; state police; possession with intent to deliver crack cocaine and related offenses at her home on Dec. 10; jailed in lieu of $25,000 bail. • Connor Herald and Collins Bowers, both 19 and both of 206 College Ave.; Pennsylvania College of Technology police; possession of marijuana and drug paraphernalia on the college campus on Nov. 9; both released on $1,500 bail each. • Jessica Barnes 27, of 38 W. Fourth St.; city police; misdemeanor shoplifting and conspiracy; for allegedly taking $163 worth of merchandise from Kohl’s, 251 William St., on Nov. 1; released $5,000 bail. 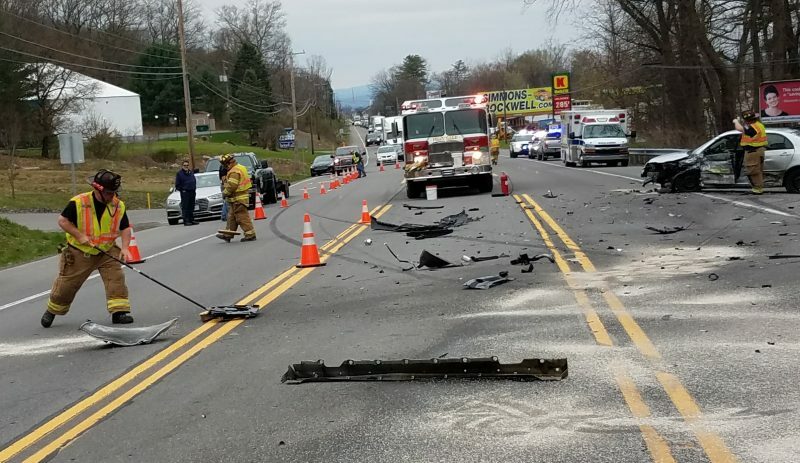 • Keith Adams, 32, of 335 Gerio Terrace, South Williamsport; South Williamsport police; DUI and careless driving following a crash in the 400 block of Matthews Boulevard on Oct. 5; released on $5,000 bail. • Mason Moore, 22, formerly of the 300 block of Pleasant Stream Road, Trout Run, now of Louisa, Kentucky; state police; DUI, possession of a controlled substance (not identified), possession of drug paraphernalia and careless driving at East Third Street and Country Club Lane on Aug. 8; released on $5,000 bail. • Joshua Lilley, 42, of 608 Grier St.; the county’s Narcotics Enforcement Unit; possession of 10 heroin and drug paraphernalia at Academy and Willow streets in the city on July 26; released on $5,000 bail. • Montral Smith, 36, of 834 Memorial Ave.; the county’s DUI Task Force; DUI and driving with a suspended license in the 1700 block of Memorial Avenue in the city on May 27; released on $3,500 bail. • Donovan Peterson Jr., 27, of 104 S. Main St., Muncy; city police; strangulation, terroristic threats, simple assault and harassment as a result of alleged ongoing physical abuse of girlfriend Jenna Romano, beginning in April 2017; Peterson told her once “I know to kill people;” jailed in lieu of $25,000 bail.